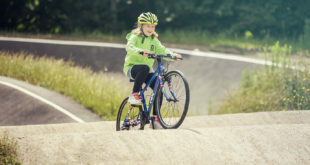 "Reliable, always on time, never cancelled," a bicycle is the perfect commute tool, says British Cycling's new campaign. British Cycling has launched a campaign to get more people commuting by bike. 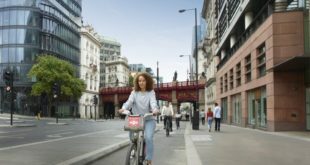 Figures from the Office of National Statistics shows that the number of people cycling to work has increased by 17 percent in the last ten years, to over 760,000. The campaign literature is aspirational: "Life can be complicated. The daily round of work-play-sleep-work can seem like a marathon sometimes. Gridlock. Dodgems. The packed bus. Sardines on the Tube. Stress. Simplify your life – commute by bike." It continues: "The bicycle is a simple machine. A time machine. It’s reliable, always on time, never cancelled and easily repaired. Your body is the engine. Your breakfast is the fuel." 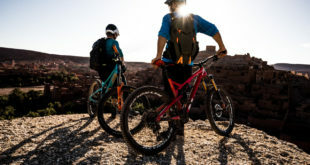 Most new bike commuters say that it is the financial and health benefits of commuting by bike that first drew them to cycling, says British Cycling. The financial benefits of commuting by bike compared to motoring are obvious at a time when the AA has again reported that the average cost of a litre of unleaded petrol has reached £1.40. “I always use my bike as part of my regular journey into the office as it’s a great way to clear my mind before and after a busy day.